Hey, that’s not too much to ask, is it? But until now, there was always something screwing it up. Now I think I’ve got it beat. Since I didn’t find all that much on the ‘net about this, but I did find little scraps here and there, I figured I ought to collect my notes here for posterity. Everything that follows was done on Snow Leopard, both client and server side. Not as bad as you might imagine. The Apple Mini OSX Server is pretty cheap. Set it up as safe as possible, using mirrored drives. If you have a NAS with RAID, you could set up iSCSI to that. I’m not going into this here either, it’s a separate subject, but I will assume you have an OSX Server at least. Most of what I’m telling you below can also be done on a webhost, but I didn’t want to have maybe gigabytes of mail storage entrusted to some cheapo webhost out there. But you decide, of course. 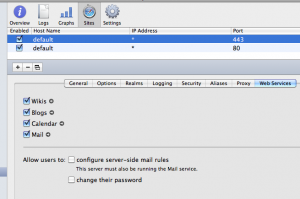 Since OSX Mail doesn’t seem to allow folder management under IMAP, that is, there is no way I can see that allows you to add new IMAP folders server-side, you need to do that using webmail. You only need it when adding or removing folders, not a daily thing. 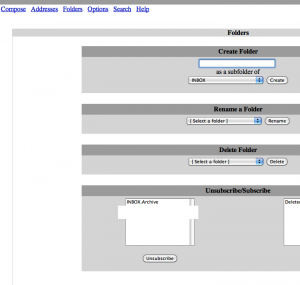 The first field lets you create a folder. Leave the “as a subfolder of” set to “INBOX”, that’s a pretty good choice. It may not seem all that intuitive, but the OSX Mail client will not show these contents as part of the regular collection “Inbox” even though it’s a subfolder, so leave it set that way. As you create subfolders, you see them in the left listbox down below. …which doesn’t seem right. 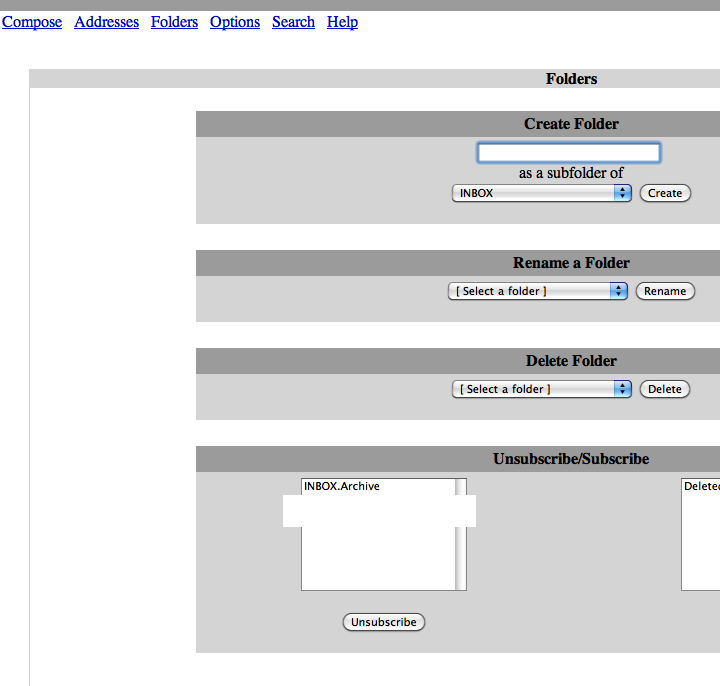 It looks as if your new folders are children under “Sent Messages”, but that’s just an interface bug in SquirrelMail. Don’t worry about it. If it says “INBOX” in that field, just empty it and try saving, quitting and restarting OSX Mail. I’m not sure if it should or should not have the “INBOX” set there, but try either way if you have a problem. Now comes the fun part. 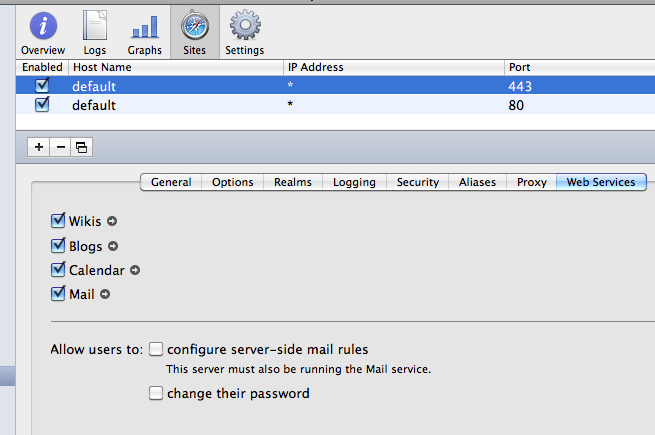 You can set up mail rules in the OSX Mail client that move messages into one of the new subfolders you created, even though the original mail came in on another mail account. Think about this for a while until it sinks in. The rules let you move messages from one IMAP server to another, not just between folders on the same server or you client machine. 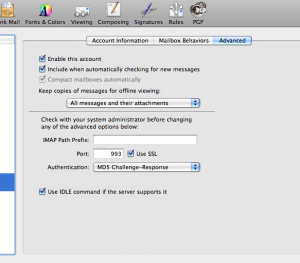 So, I’ve got mail rules that sorts mail coming in on several different IMAP accounts. As they match different rules, these messages are effectively moved from the original IMAP server somewhere in the USA to my own IMAP server in the backroom, and all those sorted messages are now available in real time from all my Macs and my iPhone (and iPad once I have one). I do have public IPs, so my OSX server is available to me from anywhere, which helps, of course. You can still easily see where the messages originated, since the “To:” field does not change when you move the messages. If you open a message in the common archive and click “Reply”, OSX Mail client will automatically select to reply from the account the message was originally sent to, not from the account that your archive is in. Exactly as I’d want it to. 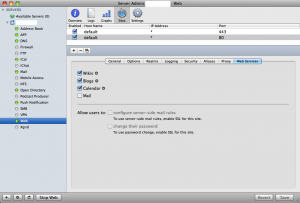 I can easily add another IMAP account that is shared with coworkers, and move or copy messages there, manually or automatically, say for support or some mailinglist I want to share with them all. Think about that for a sec. 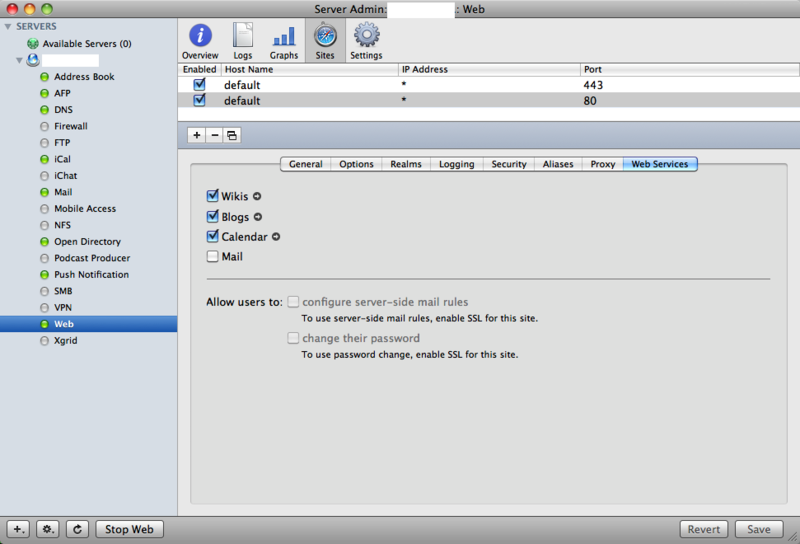 It becomes even neater if you have MobileMe and you have set mail accounts and mail rules to synch across your machines. I don’t even need to set up the rules as they change. I change them on any one of the machines, and the other machines update the rules. I may, occasionally, have to enable the rules (I don’t know why), but their content is updated. Update: You can actually create the IMAP folders just as easily from inside OSX Mail. 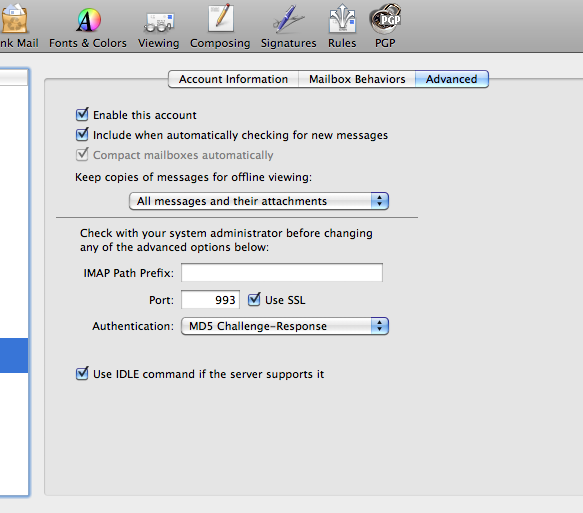 Just go to the right IMAP account in the side panel, then click the “+” down on the left, select “New Mailbox” and if you scroll far enough, you’ll find your IMAP accounts if one is not already selected. Select one of those and you can create a folder on the IMAP server. It was too obvious for me, I guess.